Wish the Belle of Louisville Happy Birthday October 14 - 19 | Joe Hayden Real Estate Team - Your Real Estate Experts! The Belle of Louisville is a famous symbol of the city of Louisville, and this year the legendary steamship turns 100. Enjoy the Belle’s birthday with a 6-day event on the waterfront. A fleet of ships will help the Belle celebrate a century of sailing along the Ohio River. All the fun begins on October 14, and the event doesn’t end until October 19. For the 6-day celebration, an entire fleet of riverboats will dock in the Ohio River to help wish the Belle a happy birthday. The Belle of Louisville is the oldest Mississippi-style steamboat in the world that’s still operating, and she’s a beautiful example of these historic boats that once inspired the likes of Mark Twain. 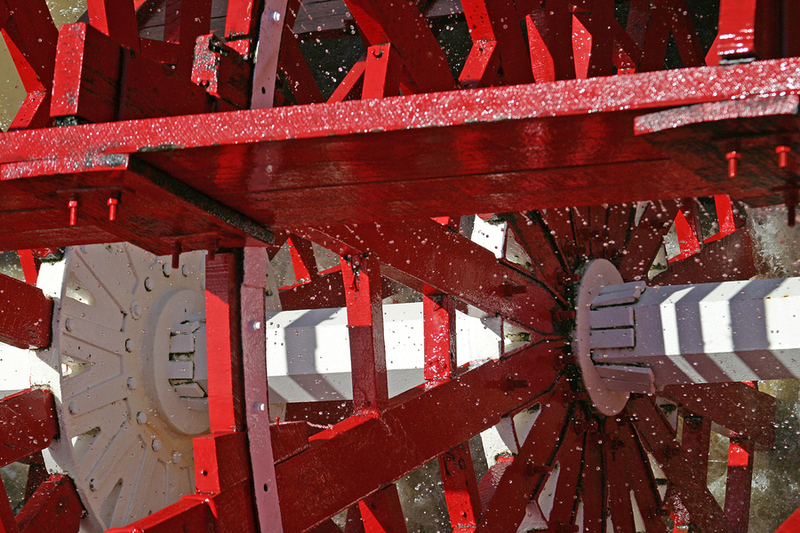 When you see the signature red wheel spinning, you know that you’re in Louisville. The Belle of Louisville is recognized as a National Historic Landmark, and she’ll be celebrated in style this October. The Belle’s birthday party include events that take place on the river and on land. Take a cruise on the Ohio River on one of the many steamboats. When you land, grab something to eat at one of the food stalls. Have a few sips of bourbon, an historic Kentucky drink, as you browse the art that’s on sale and on display. Wander toward the stage area any time you like to listen to the music. Watch the riverboat parade and listen to live concerts all day long. On the last night of the event, fireworks will brighten the sky above the river. The entire event takes place at Waterfront Park at 401 W. River Road. Jeffersonville, Indiana is directly across the river from the Belle of Louisville. Jeffersonville, known to locals as Jeff, is home to more than 40,000 people. It has a downtown district with a full commercial sector, as well as many beautiful homes. Jeff was built in 1786, and the city was strategically important during the Civil War. You can still see a lot of this rich history in buildings throughout the community. Jeff is conveniently close to downtown Louisville, but it has a small-town feeling to it you can't easily find in the big city. See Jeffersonville, and downtown Louisville, when you help celebrate the Belle of Louisville this fall.